You savings account is more than just a place to park your money. Here’s what you should know about it. Opening a savings bank account is an important step for any young person. 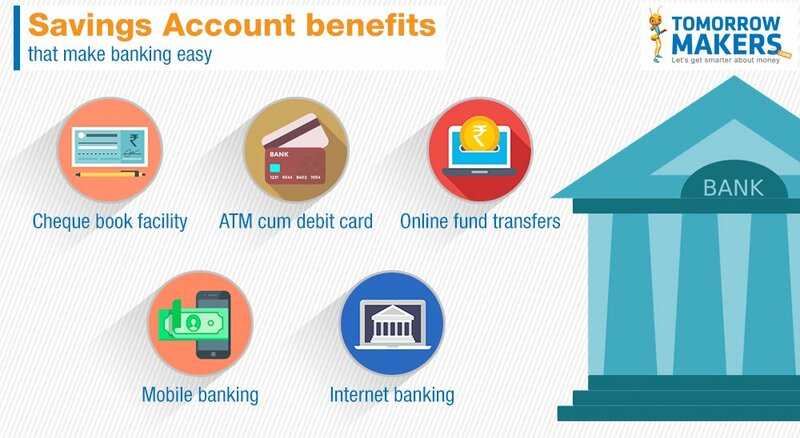 A savings account provides easy access to money and can help in automation of bill payments too. You can also build an emergency fund in a savings account, which can come in handy later. Here are some things you should know about savings accounts and how they work. In comparison to a checking or current account, the minimum balance in a savings account is much lower. You can open a savings bank account with an amount as low as Rs.500/- at most government banks. Many banks also offer zero balance accounts, especially for salary accounts belonging to employees of big corporates. While banks do not impose a maximum account balance limit on any account, the minimum balance to be maintained can differ from one bank to the next. For instance, the minimum balance in some banks might be Rs 1000, while in others it can go up to Rs 10,000. Related: Why create emergency fund before starting to invest? Most banks do not impose any transaction limit on savings bank accounts. However, you can withdraw a limited amount from your bank via ATMs. The maximum withdrawal amount for savings accounts differs in various banks. However, you can spend up to Rs.1,00,000 via debit card and can pay any amount through cheques. Branch-free saving bank accounts: Some banks, such as ICICI offer branch-free banking services, in which charges are on the lower side and the interest is on the higher side. E-Wallet services: Almost all banks now offer e-wallet services, either individually or in association with a third-party service provider. These e-wallets make it easier to conduct cashless payments, and sometimes offer discounts and coupons, which can help save money. Reward schemes: Certain banks run their own reward programs, and some have joined hands with companies like PayBack where customers can earn reward points. These reward points can be redeemed while purchasing different products or paying bills. Money accumulated in a savings account can also earn interest. However, this interest that you get is relatively lower than other saving options like Recurring Deposit (RD) or Fixed Deposit (FD). On the other hand, the easy availability of money that savings accounts offer is not possible in RDs and FDs. Some banks offer sweep-in and sweep-out facility with the saving bank accounts, which is linked to an FD. If the amount in the account is more than the threshold amount, you can choose to have a certain amount swept into your Fixed Deposit. Alternatively, if the amount is lower than the threshold amount, you can have that sum swept from the FD into your savings account. Benefits of this feature include higher interest as compared to savings accounts, and flexibility to access funds when required through ATM, internet banking, cheque payments etc. Charges: Transaction charges on savings accounts differ from bank to bank. While some banks charge only a small percentage, others may impose a fixed charge. Internet banking: The internet banking interface of a savings account is simple, and offers options like, mobile recharge, bill payments etc. directly from the portal. It also enables fund transfers through IMPS (Immediate Payment Service), RTGS (Real Time Gross Settlement) and NEFT (National Electronic Fund Transfer). Automation of bill payment: Customers are also offered the option of automating bill payments and EMIs via a savings account, which makes it easier to pay all your bills on time. While savings accounts can offer many benefits, it is important that you keep a check on your account balance. This is because some banks impose a non-maintenance charge if you do not maintain the specified minimum balance in your savings bank account.